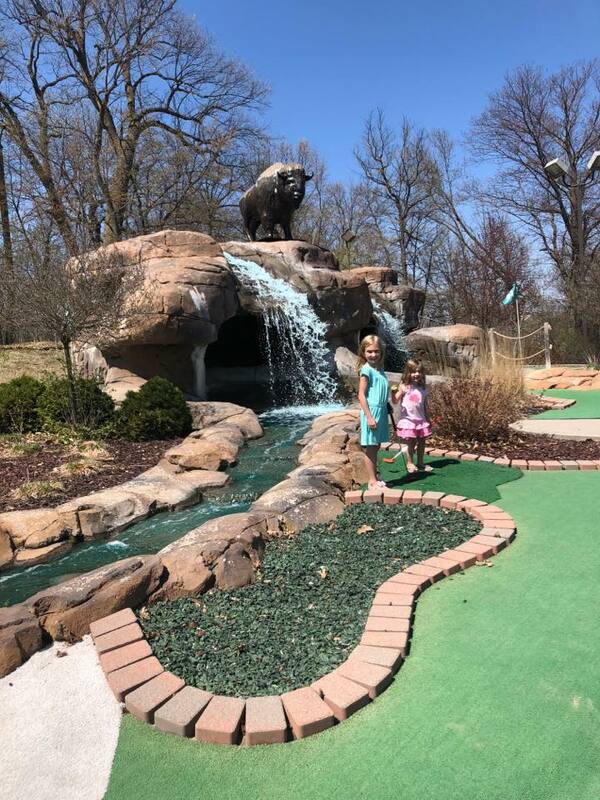 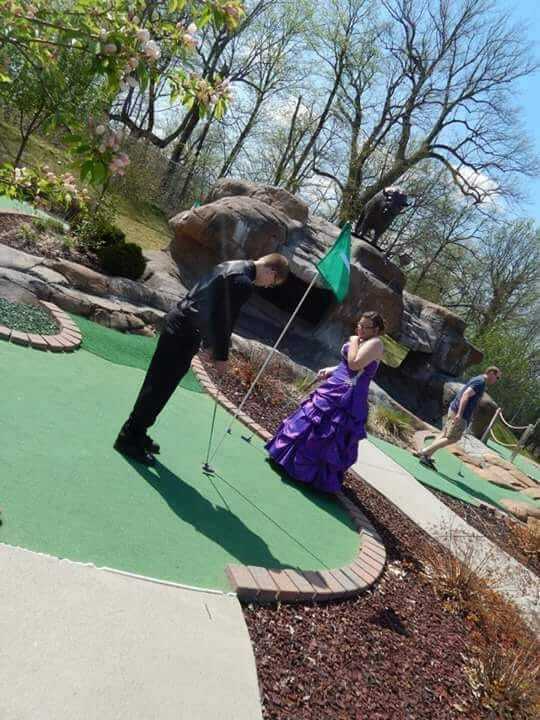 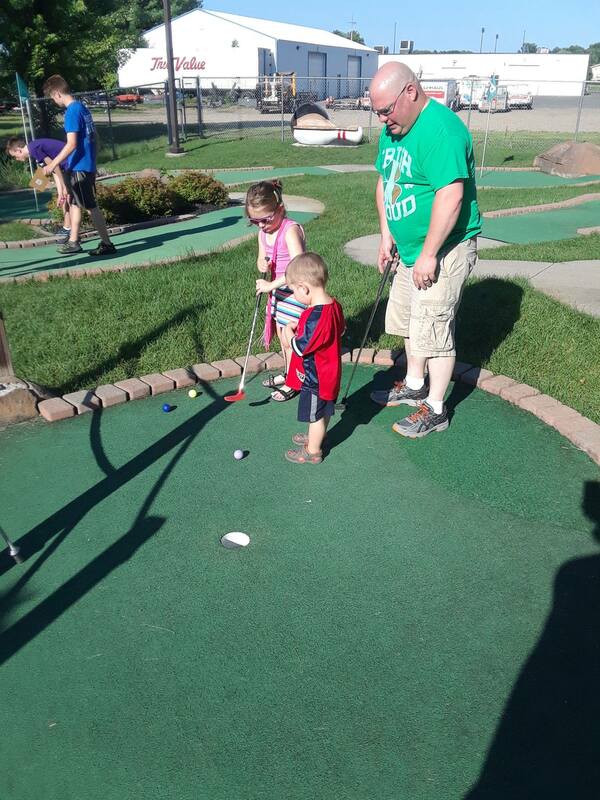 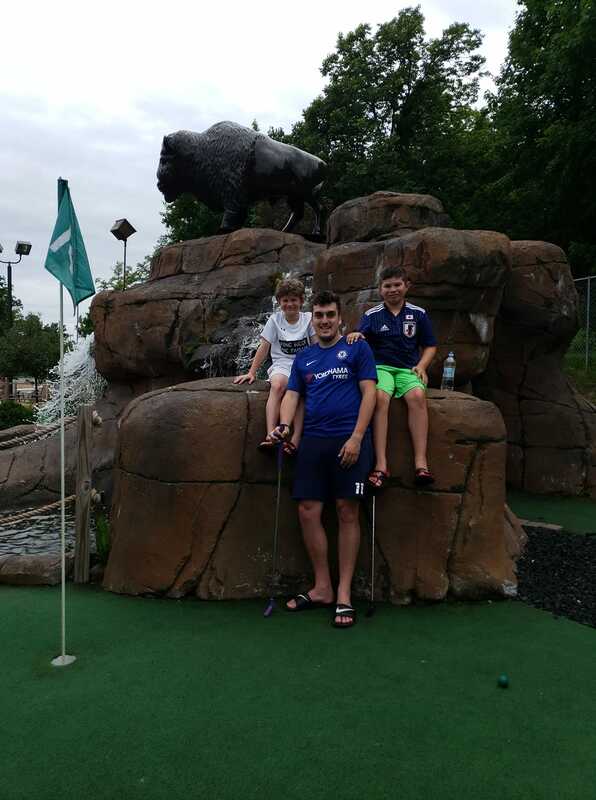 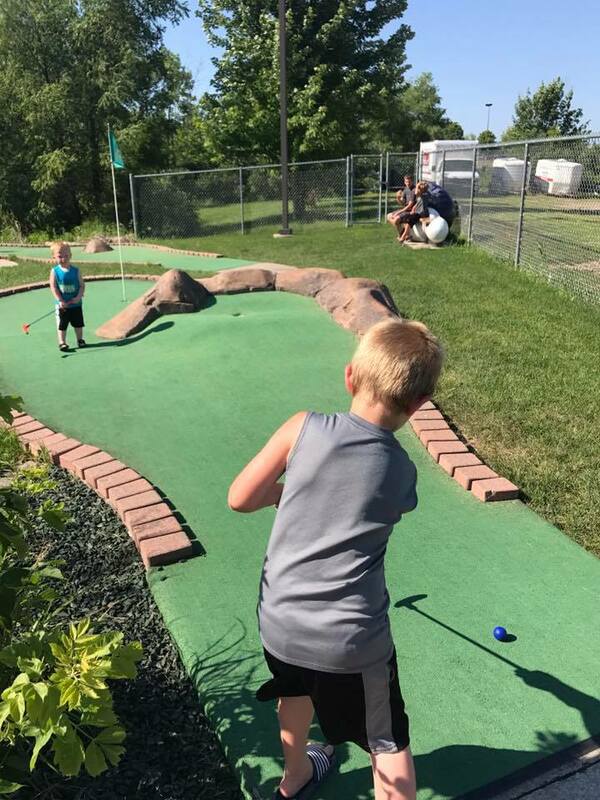 Bison Creek features 18 holes of challenging mini-golf with a waterfall, tunnel, and other obstacles.The price is $8.00 for adults and $6.00 for children 12 and under. 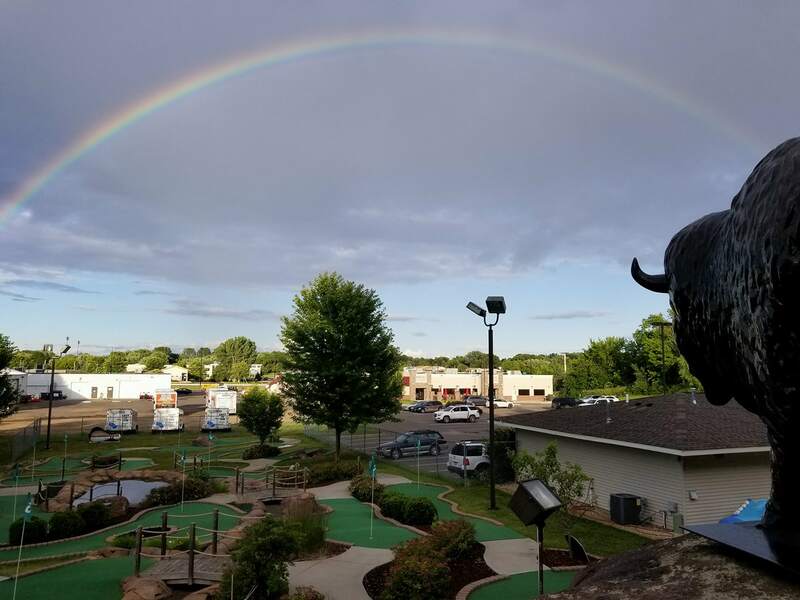 Get daily unlimited golf for just $10.00. 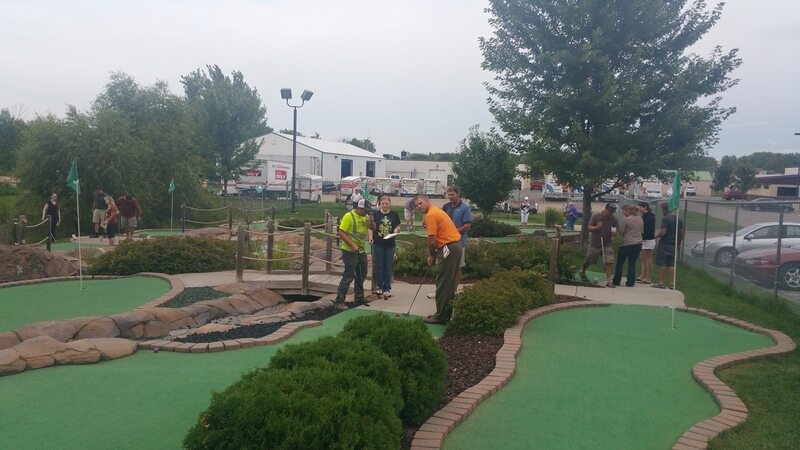 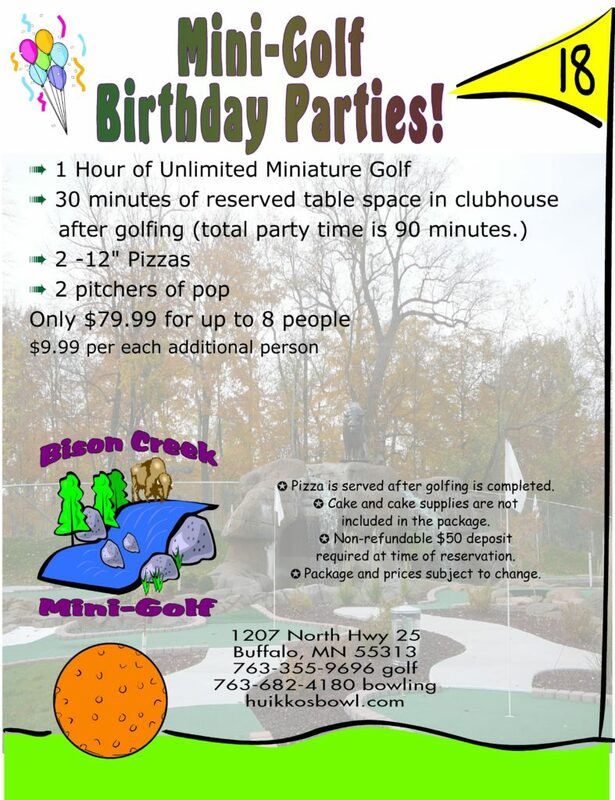 To reserve the course for a private event or group outing, or for more information call (763) 682-4180. 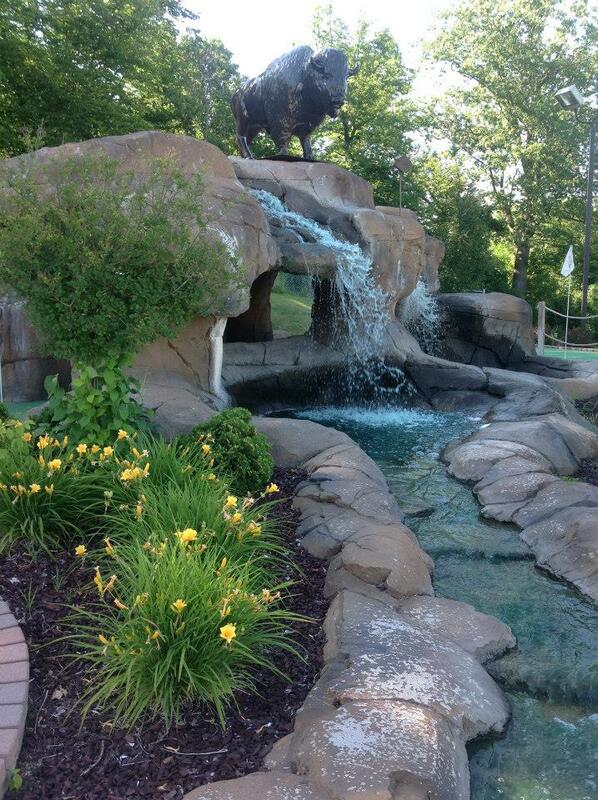 Closed for the season...see you next year!